Two years ago, for my birthday I got an Amazon Echo Dot. I immediately got hooked on its smart home abilities. I started out with smart lights and ended up with an entire home full of gadgets. In this guide, I’m going to let you in on the best smart home automation devices that I’ve found that will make your life better, easier, and just plain cooler. I’ve done my best to categorize and group them together into devices that work well together so that you can just plug and go without the hassle of figuring out if they’ll work together. 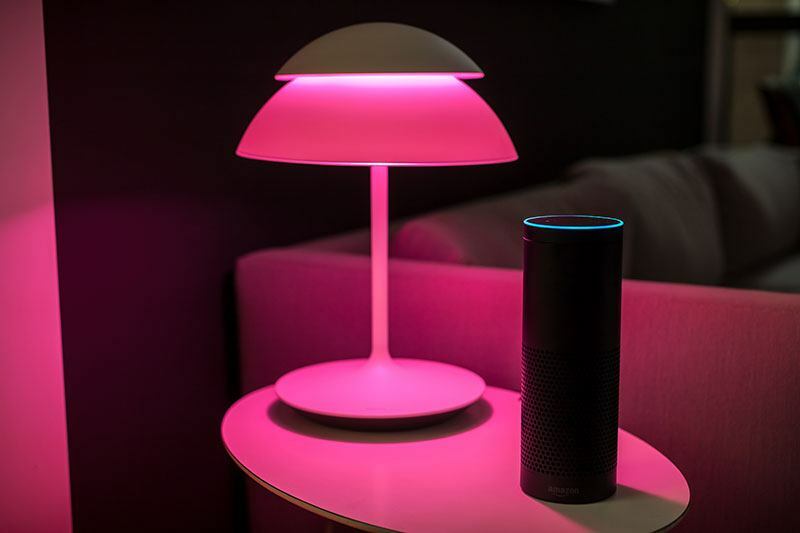 This setup is designed to just get you started with home automation using the Amazon Echo. It only requires two things. 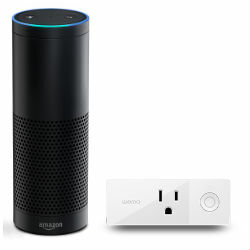 An Amazon Echo and a Belkin Smart Plug. I encourage you to experiment with this setup. Plug in a light and make it a smart light, plug in a fan and turn it on with your voice. This will give you an idea of what you want to do with your home and where you want to place your Echo. You can setup a trigger that tells your smart plug to turn on when it senses that your smartphone is within range. Now you never have to walk in the dark when you get home to find your light again. Just hook your light into a Belkin smart plug, set it up and you’re good to go. Has anyone in your home ever forgot to turn off a curling iron or left a space heater running. These items have been known to cause house fires. To prevent this, plug them into a smart plug and set it up to turn off when your smartphone is out of range. That way you can be sure that they have been turned off and your home is safe. If you have a wall air conditioning unit you can turn it on and off by saying “Alexa turn on the air” or “Alexa turn off the air”. As a bonus, you can turn it on from your smartphone when you are away so that the room is nice and cool when you get home on a hot summer day. You can also set the plug to go on or off on a schedule. There are a few good uses for this. Here’s a couple. First, if you are away on a vacation you can schedule a light to come on at different times of the night to give the appearance that someone is home and possibly scare off burglars. Second, you can use it as a morning alarm. Plug in a bedroom light and set it to turn on in the morning to make sure that you get out of bed. (Alternately you can set it up to turn on the light when your Amazon Echo alarm goes off. That way no matter what time you set the alarm, your light will turn on when the alarm sounds). Like I said this will get you started but it’s not really even scratching the surface of the scratch on the surface of what you can do with smart home automation. Let’s continue on with the beginner setup. In this setup, we are going to expand on bare bones and gain a little more control over our home. As we expand out our smart home we need to start thinking about security for our devices. We don’t want hackers getting in and messing with your lights or shutting down your home network. 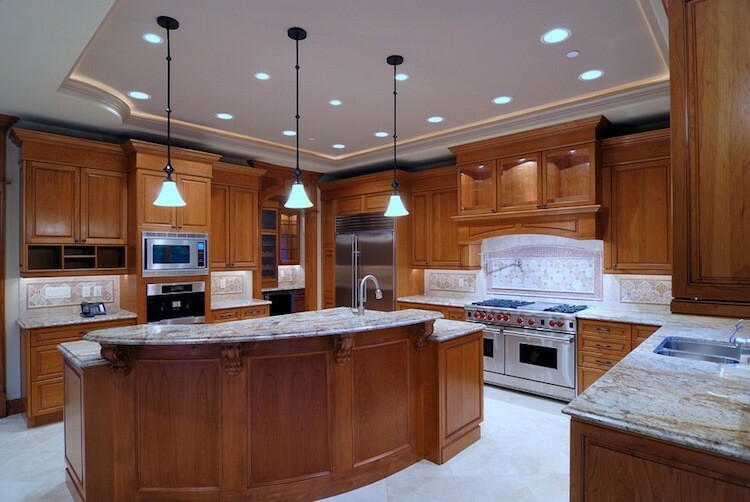 What we want to do in this setup is control the lighting in most areas of our home. For this DIY home automation system here is what you need. With the wall switch, you can now control lights that you couldn’t before with the smart plugs. Just replace the wall switch with the Belkin Wemo light switch and you can now control overhead lights and fans. You can also group them with other switches so that for example you can turn on the coffee maker and kitchen light with one command. 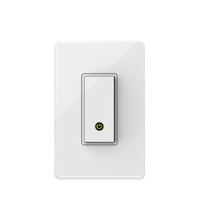 With your lights plugged into several Wemo switches, you can now turn on and off different rooms. So you can now say “Alexa turn off the living room” and the living room lights go out. So for example if you have two kids rooms you can group them together and say “Alexa turn off all the kid’s rooms” and both lights will turn off. You can also group all the lights in your house and say “Alexa turn off (or on) all the lights” and all lights in your house will turn off (or on). The downside to the Belkin Wemo switch is that it can’t control devices that don’t have a simple on or off button. If it has any kind of complicated electronics it won’t work. To that end, to get it to make coffee we need a real simple, basic coffee maker (or a Wemo enabled coffee maker which we’ll get into later). With our simple coffee maker setup, we can say “Alexa turn on the coffee”. We can also set it up as part of a routine so when our Echo alarm goes off in the morning it also turns on the coffee maker. Like I stated earlier when you start adding devices to your network you also open up the possibility of a hacker or some smart assed kid hijacking your house. To combat this I recommend getting a Cujo Smart Firewall. Cujo uses machine learning to discover threats to your smart home before they happen and blocks any malicious traffic from reaching your router. Ok so now we’re getting somewhere but in the next setup, we’re really going to start having some fun. In this setup, we’re going to start unlocking some of the true potential of our smart home. With This Setup, we’ll now be able to control the TV with our voice and set the mood with some really cool lighting. We’re going to start to secure our home and automatically unlock the front door without having to use a key. Finally, we’ll upgrade our smart home coffee experience. With the harmony universal remote hub and Philips Hue Color Light Kit you can say “Alexa turn on the TV” and the television will go on, it will switch to your favorite channel (or turn on apple tv, amazon fire tv, Roku, etc.) and set the lights to dim. Another possibility would be to say “Alexa turn on Xbox” and the TV will turn up, it will set itself to the proper input (HDMI 2 for example), your Xbox will turn on and it will automatically change the lights in the room to glow green or whatever color you choose. There are some fun things you can do when it comes to sports and the hue color light kit. You can have the lights blink every time your team scores or for a bit more fun, have it change to your team’s colors when the game starts. You can also automatically change the lights to your team colors if they win. Ring is a really awesome doorbell camera. At its most basic, when it detects motion at the front door it will start recording and if you want, send you an alert. It also turns on a live feed to your smartphone so you can see who is there. It has a microphone and speaker so that you can speak with someone who just rang your doorbell from your smartphone. This comes in handy with a delivery man if you’re not home. It might also prevent a burglary by making the thieves think you’re home if they ring your doorbell to see if anyone is home. With the Philips light kit, you can also have your lights blink when someone is at the door or turn on a porch light if the Ring doorbell detects motion. Ok just kidding, we can’t do it with our mind -but- we can do it automatically with our smartphone which is actually better because we don’t even have to think about it. The August smart lock allows us to lock and unlock the deadbolt when your phone is in or out of range. So you come home and you don’t even need to pull out your keys. Your door is already unlocked. You leave and the door locks behind you. Pretty cool. Setup the August Smart Lock app on the families smartphones and not only can everyone enter and exit without a key but you also get an alert on your phone when they arrive home. Imagine this. You’re upstairs playing Xbox. You get an alert on your phone that someone just rang the doorbell. You pause the game and grab your phone. You can see that it’s your buddy who is coming over to play some games. You say “Alexa unlock the front door” and you use the intercom on your Ring doorbell camera and say “come on in, I’m upstairs”. Your friend’s mind is blown and you go back to playing your game. With the Wemo enabled Mr. Coffee coffee maker and a Fitbit you can automatically turn on the coffee when your Fitbit registers that you are awake in the morning. Alternately, you can set it to turn on when the sun rises… If you’re an early riser. These are just a few of the things that you can do with this setup. We didn’t even talk about giving the handyman a virtual key that expires after they leave to let them in the house when you’re at work or changing the color or your lights to match the music. There are many more combinations with this kit. Have Fun! Ok, now we’re going to get into some really powerful stuff. Along with all the cool stuff you can do with the intermediate setup, we can now control music in several rooms with our voice, and backlight the television for dramatic effect. We can tightly control the temperature in our home for maximum comfort and energy savings and secure our home to keep you and your family safe. Finally, we can communicate with our car and get important information. Stick the Philips light strip on the back of your tv and with the Hue camera app you can sync up the movie for an immersive experience. With the Sonos system and Amazon Echo, you can say something like “Alexa turn on the kitchen Sonos” and your kitchen music will turn on or “Alexa play party music” and your whole house is filled with music. The real power of the Sonos system is being able to control which speakers are on and off. If you’re in the living room you can just set it to play in the living room or if you’re walking around the house you can have the same song playing everywhere you go. It’s also really useful for parties, where you can have a Sonos on the back porch impressing all the guests. Another cool thing you can do is set it to turn on when you get home. Set Sonos to play your favorite music when it senses that you opened the door with the August door lock. 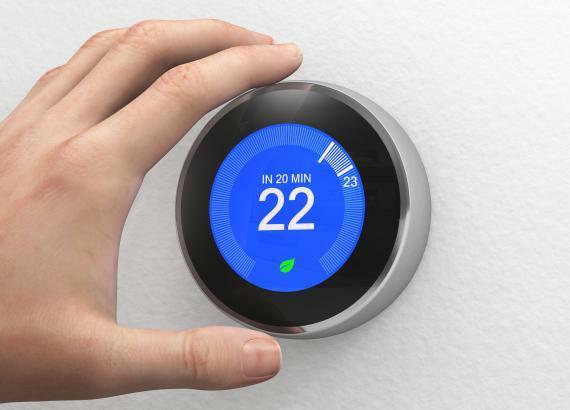 Have you ever noticed that the temperature in your house is different in each room? In the living room right next to the thermostat the temp is perfect but in the master bedroom upstairs it might be scorching hot. Ecobee fixes this problem with remote sensors that detect when you’re in a room with motion sensors and makes sure that the temp is set for your comfort. So if you’re reading a book in the home office you won’t be sweating in the summer or freezing in the winter. Some other cool things that Ecobee can do is turn off the air if it’s nice outside and automatically detect if you’re away and change the temp to save you money. If you have a Fitbit it can change the temperature in the house when it detects that you’re awake or after you’ve fallen asleep. 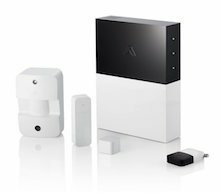 Abode is an excellent smart home security system that has a lot of really cool features and Arlo is a fantastic, completely wireless camera that you can use to secure the perimeter of your home. You can automatically arm and disarm the system with your smartphone. When Arlo & Abode sense that your smartphone is in or out of range it arms or disarms. That way you don’t have to set up any kind of complicated routine every time you want to leave your house. You can also set it to work with your August smart lock to arm and disarm if you have family members that you don’t want to give direct access to the system too. Along with the sound alarm, you can have your hue lights flash if a sensor is tripped to possibly scare off a thief. There is a lot to this system but here are some of the highlights. Like I said there is a lot to say about Abode and Arlo. I’ll talk more about it in the components section later in this guide. Cars are becoming a part of the connected home too. Here are a couple cool things you can do with the Automatic Car Plug. Say “Alexa ask Automatic how much gas is in my car” and she will tell you. “Alexa ask Automatic where my car is” and she’ll let you know. Does Anyone Need Something From The Store? If you have the Automatic adapter setup in your car when you arrive at the grocery store you can have it automatically send out a text asking anyone you have set up if they need something. 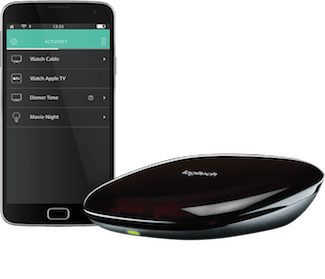 To finish things off, the advanced setup has almost everything you could get for a smart home. Along with everything from the power user setup it also includes major appliances. Now that you have everything a smart home could want, you can setup a custom morning alarm that would make Iron Man jealous. Imagine this. Your alarm goes off. The light turns on and sets itself to 50% dim. Your favorite song starts to play. The coffee begins to brew and the living room TV turns on and sets itself to your favorite news channel. The shades roll up 20% to let some natural light in. The temperature sets itself to a nice comfortable 70 Degrees. All that happens automatically and you haven’t even gone to the restroom yet. You can do some cool things with the Serena window shades. You can have them raise at sunrise and lower at sunset automatically. If the temperature is really hot outside you can set it up to have the shades lower. You can also integrate it with the Ecobee to have it raise and lower depending on the temperature in the house. Finally, what I think is the coolest thing, you can control the shades with your voice. “Alexa close the shades in the living room” or “Alexa open all the shades” to open the whole house. With the GE smart oven and washer and dryer, you can now control some things when you’re out of the house. If you’re at the store and you get an alert that your dryer cycle has stopped you can extend it for another round. If you decide that you are going to make a frozen pizza for dinner you can preheat the oven right from the freezer aisle. Speaking of shopping, with the Samsung family hub smart fridge you can actually see what’s inside your fridge from wherever you are. So if you can’t remember if you need milk you can just pull out your smartphone and take a look. This thing really is loaded. You can watch TV, pull up recipes, draw notes, listen to music and purchase groceries right from it’s massive screen. The three biggest areas of smart homes are security, entertainment, and convenience. With this setup, you have the best of all worlds and the combinations and routines that you could create are practically endless. In this section I’ll give you a short review of all the products included in the setups and if applicable let you know why I chose them as the best option over their competition. There are many smart home hubs and controllers on the market right now like Samsung’s SmartThings but you can get most of the functionality you need with the Echo (with the exception of home entertainment, you’ll need a Harmony Hub for that which I discuss in the entertainment automation section below). While these other hubs allow scheduling and routines (connecting multiple smart devices together to run an event like turning on the music when your smart lights turn on) you can get most of the same functionality from Yonomi which allows you to run routines and IFTTT which connects your devices together. More and more home automation gadgets like Sonos are directly integrating with the Echo so in the future you won’t even need the 3rd party services like Yonomi and IFTTT. For more info on the Echo click the “Read Review” link in the box below. The Amazon Echo is a truly amazing product. Without it, I really don’t think that the smart home is even worth setting up. Like I said in the intro, having to mess with your smartphone and all its accompanying apps to do simple things like turn on the lights does not make my life simpler. Voice control is the way to go and with its additional functionality I can see why the Echo is so popular. This is the control center of it all and it’s only going to get better with time. Amazon has publicly stated that it has hundreds of engineers working on the device and I can hardly wait to see what they’re going to add to the platform in the future. The Wemo smart plug will allow you to control your lights and many of the electronics and appliances in your home. 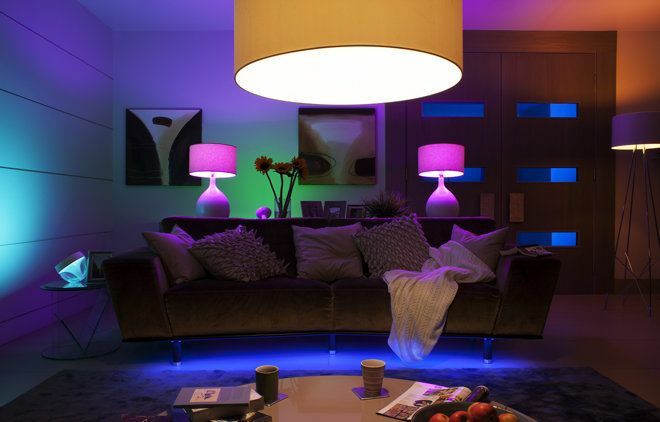 The Philips Hue light kit will only control your lights but it offers millions of bright colors that you can play with and you can dim the bulbs which is something that you cannot do with Wemo. I personally have both. I have a wall A/C unit and my Amazon Echo plugged into a Wemo and I control my lighting with several Philips Hue bulbs. You can read more about these devices by clicking the “Read Review” link in the boxes below. I love my Philips Hue lights. Of all the smart things I own, besides the Echo, this is my favorite. It has a cool factor that blows all my friends away. You can control lights easily with the Echo and you can get really creative with the coloring of your walls with the color kit. You can dim it to set the mood (which you can’t do with the Wemo switches). 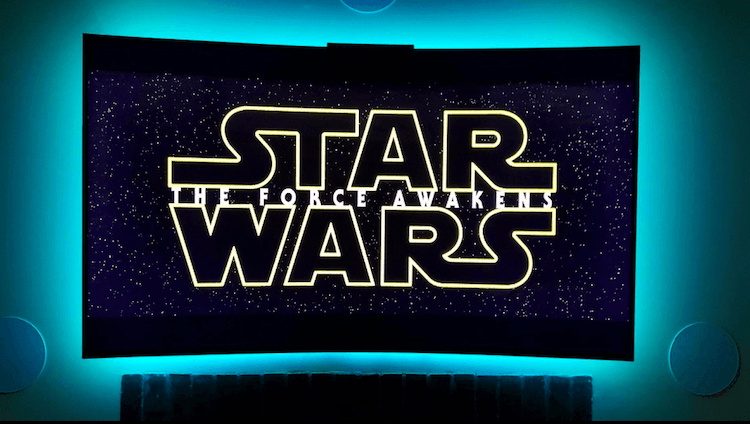 If you’re watching a movie you can turn down the brightness to 25% which surprisingly enhances the movie watching experience. There are many smartphone apps that you can get for your hue bulbs that expand its capability. Here’s a couple of my favorite. Hue Camera – This app changes the color of your lights depending on what you’re looking at by accessing your smartphone camera. So you can point your camera at your TV when playing a game or watching a movie and your lights will match what’s going on on the screen. This creates a really cool effect. Ambify – Ambify changes the color of your hue lights based on the beats of your music. This is the most responsive music app that you can get for the hue lights. While other apps rely on your microphone to change the light color (which creates lag) ambify works directly with your music library to get a more accurate sound profile. This little guy is a great way to get started with home automation. It’s a basic on-off switch with smart capabilities. I chose the Belkin Switch over the competition because of its ability to integrate with IFTTT. IFTTT integration allows you to expand its capabilities and work with other devices in your smart home. So for example, if you have a Ring Doorbell Camera you can have a light turn on when someone rings the doorbell. After you set it up you can control the smart plug with the free app over the internet so you can turn on and off whatever you have plugged into the Wemo anywhere you are with your smartphone. The downside with this and all the other smart plugs is that it can’t control a device that doesn’t have a simple on-off switch. That rules out most coffee makers and a lot of the newer fans. It also doesn’t allow you to dim your lights so if you want that functionality you will probably want to get a Philips Hue light kit. By the time you read this Sonos will have probably completed its direct integration with Echo. That will allow you to control their entire home audio system with your voice. 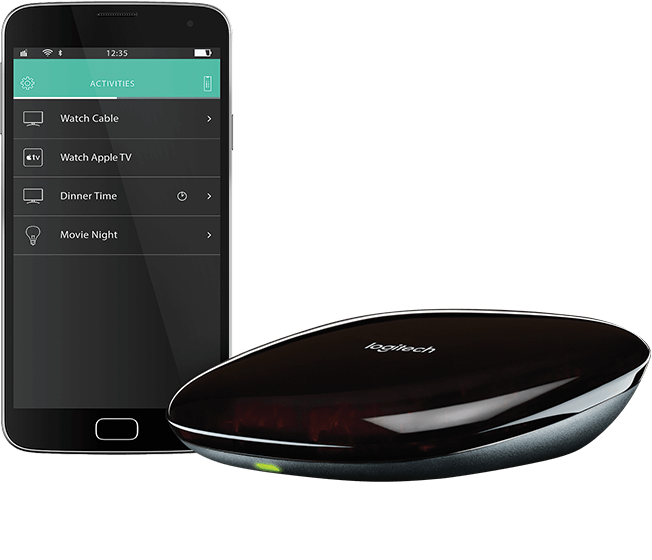 At its heart, the Harmony Hub is a smart home controller. You can set it up to work with multiple smart home devices. The reason I recommend it here is because it allows you turn on the TV through the Echo along with some other nifty things which I discuss in the “Read Review” section in the box below. The Harmony Hub is the central brain behind our smart home entertainment system. It hooks up to the TV, home theater system, gaming console and internet streaming devices like the Apple tv, Roku box, Amazon Fire tv etc. You can integrate it with the Amazon Echo through IFTTT or Yonomi for some limited voice control over your television. It’s also a smart home hub so it can also connect to everything in your smart home which allows you to create routines. So one routine might be “Movie Night” where you say “Alexa trigger movie night” and your TV turns on, switches to your Apple TV and opens Netflix, your lights dim down to 25% brightness and your window shades close. Welcome to a time when we can create a whole home audio system without having to run wires all throughout the house. With Sonos you can place the smart speakers anywhere you want, plug it in and you’re good to go. You can set it up to integrate with the Amazon echo and control the system with your voice. You will be able to say “Alexa turn on the kitchen Sonos” and just the kitchen will play. 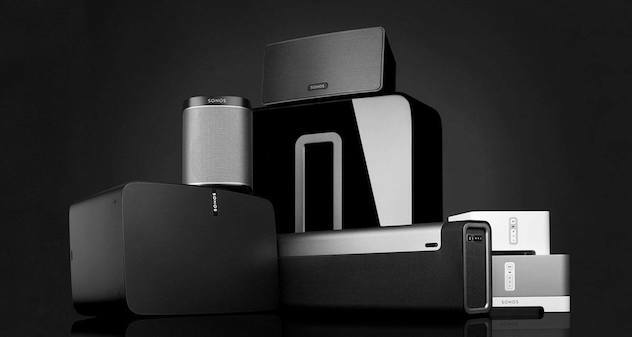 There are an array of products in the Sonos line. First, the Sonos 1,3 and 5 (don’t ask my why they hate even numbers). In general the bigger the number, the better it will sound in big rooms. You might only need a Sonos 1 in the bathroom but you’d need a Sonos 5 in the living room for the best sound. They also have a wireless home theater setup with the play bar, sub and rear speakers. You can buy these components individually but for the best most high-end theater sound you’d want to get them all. Finally, they have the connect:amp. This will allow you to connect your already existing home audio system to Sonos for wireless streaming. Smart home devices are making our lives easier in many different ways. From automatically unlocking the door when we get home to making sure that the temperature is comfortable in whatever room you happen to be in. This category will expand in the future but for now, it includes three very cool devices. Check them out below and click “Read Review” to get more info. 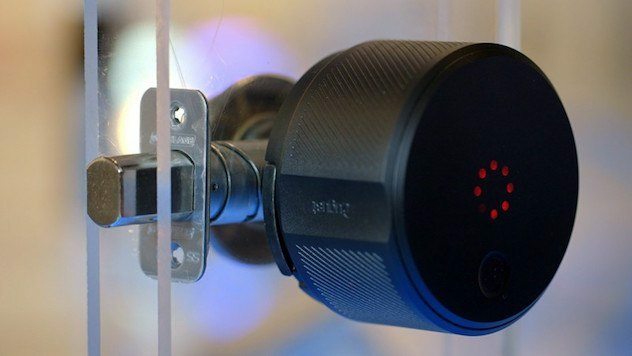 We don’t have sliding doors like Star Trek with face recognition yet, but the August Smart Lock is the next best thing. It’s an easy to install deadbolt smart controller that allows you to unlock the door automatically when it senses that you are approaching and locks it when you are out of range with your smartphone. It’s just plain convenient to be able to unlock your door without using a key. What I really like about the August door lock is that it works with your existing deadbolt. So you can use your physical deadbolt key if you happen to break or lose your smartphone. You can also manually lock and unlock the door from the inside by just turning the knob. No app needed. There are a lot of possibilities here and they’ve done a great job continually adding functionality to the system. I also like this lock because it’s hard to hack. The encryption that they use is top notch and unlike some other smart locks they take security very seriously (which you would think they all would right, but they don’t). Some may be wondering why I chose the Ecobee smart home thermostat instead of the more popular Nest. 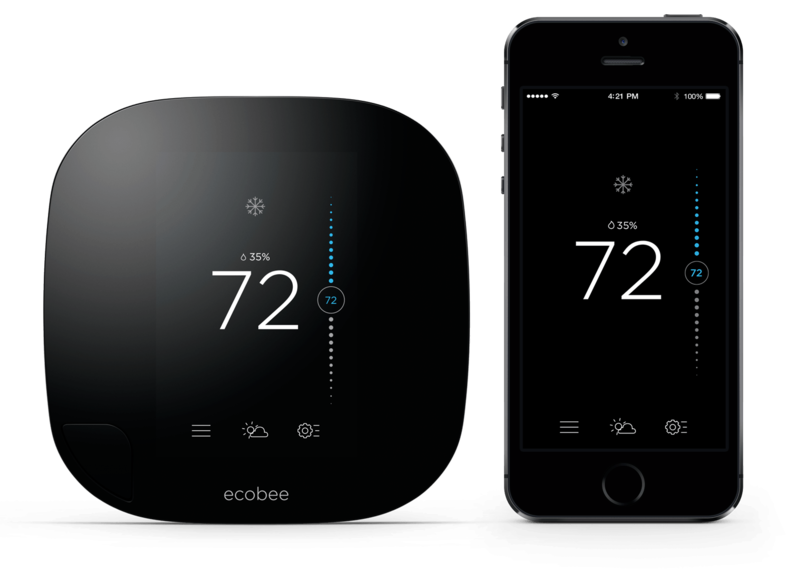 The killer app of Ecobee is its room sensors. Everyone has had the problem of the room where the thermostat is located being the perfect temperature but the other rooms being too hot or too cold. 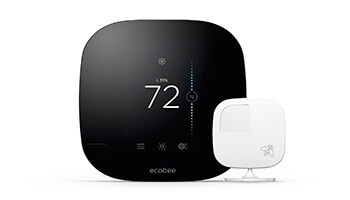 Ecobee solves this by having you place sensors in each room that communicates the temperature back to the main thermostat. The sensor has a motion detector and if it detects you are in a certain room it will set the heating or A/C to adjust your desired temperature to that room. 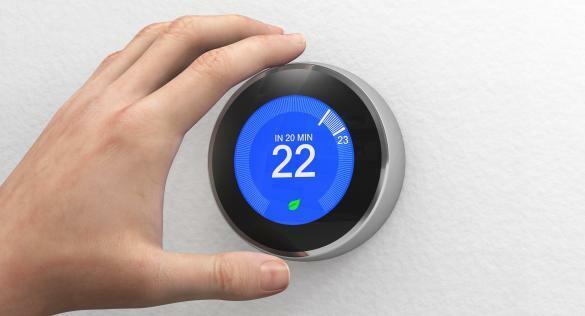 This is a game changer and it’s something that Nest can not do. It also has direct Amazon Echo integration. So you can say things like “Alexa raise the house temperature 3 degrees”. 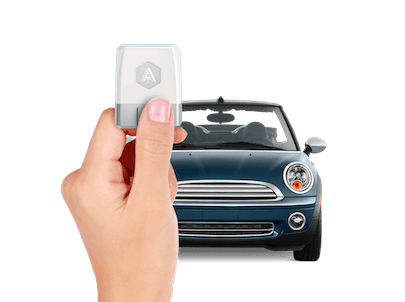 Automatic allows us to extend our smart home out to the car that we drive. It has a lot of cool features that I’ll talk about in a minute but as far as integrating with the home, you can now get status updates on your car by asking Alexa. You can ask “Alexa how much gas is in the car”. This comes in handy if you want to know how much gas is in your car so you know if you have to leave for work early tomorrow to fill up. You can use this to get an update as to where your spouse or teenage driver is currently located. We can also integrate it to turn on Hue lights when you arrive home or run a routine when you leave. There are some really cool things you can do with smart appliances like preheating the oven when you are at the grocery store. 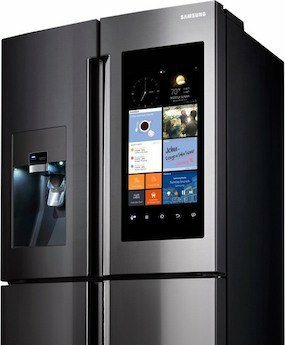 With the Samsung smart fridge, you can even look inside the freezer to see if someone ate that pizza right from the frozen food section at Costco. Check out these smart appliances below. 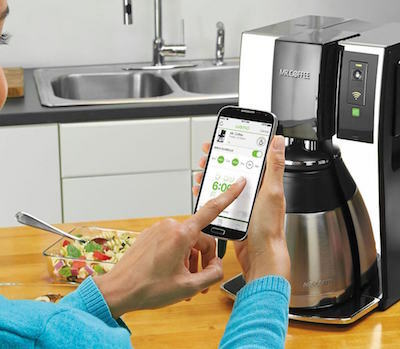 We are going to get more smart coffee makers in the future. I can guarantee that. With that said, the functionality of this coffee maker is less than what I am looking for. I want a top loaded grind and brew single cup coffee maker that automatically dumps the grounds after I’m done brewing into a removable waste compartment and tells me when the compartment is full… this sadly does not exist. So we are on the bleeding edge of smart home coffee makers and for now, this will have to do. One cool thing that I do like about the Wemo coffee maker is that you can set it up to work with your Fitbit to turn on in the morning when the Fitbit recognizes that you’re awake… That’s pretty cool. The GE smart oven comes with long distance control with our smartphone so we can turn on the preheat when we’re at the grocery store for example. 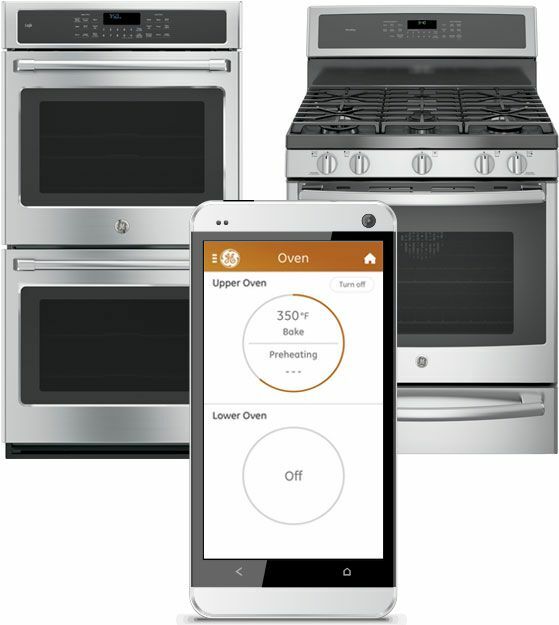 It has enhanced safety features like geofencing where the oven will automatically turn off when you leave the house or you can have it automatically turn off at a certain time like 11 pm to make sure that you didn’t leave it on. Another cool thing you can do is have it blink your Philips hue lights when the oven timer goes off. 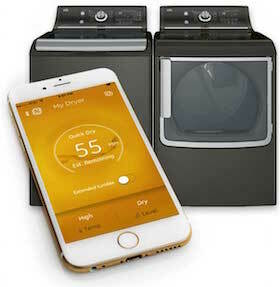 With the GE Smart Washer & Dryer you can receive alerts on your smartphone that the cycle is done so if you are busy cleaning somewhere else in the house you can be alerted to put your clothes in the dryer. You can also extend the dryer cycle right from your phone. This thing is over the top. It has a massive 21.5 hi-def LCD screen that allows you to among other things, watch television. To save electricity you can look to see what’s inside the fridge from the screen when you’re making a grocery list. You can also tag items on the screen to let you know how long they’ve been in the fridge so you don’t accidentally eat spoiled food. You can purchase groceries right from the screen with groceries from the Mastercard integrated app. For a full review, you can check out Smart Home Gear Guides best smart refrigerator review page. 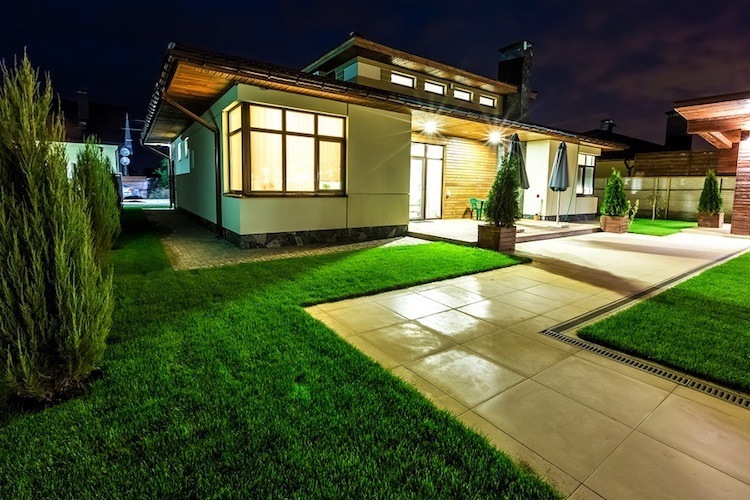 Home security is one of the biggest categories being disrupted by smart home devices. With easy do it yourself setup, no long term contracts and smart home integration, systems like Abode offer a solid alternative to expensive complicated home security systems. All this ease and convenience does come at a cost, though. You now have to worry about hackers taking over your network and controlling your smart home devices. That’s why smart home network security appliances like Cujo are becoming more popular. 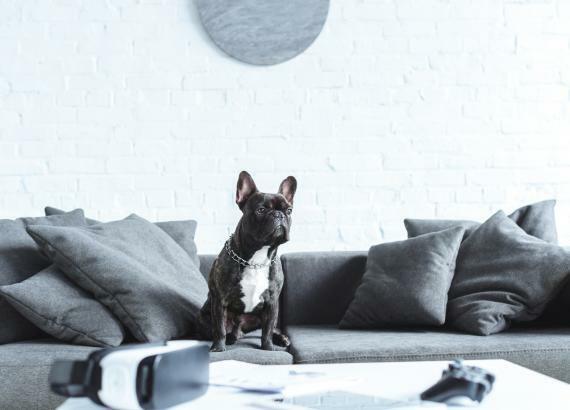 For more info on Cujo and smart home security products, check out the reviews below. Abode is a relatively inexpensive home security system that tightly integrates with your smart home. Because of smart home integration, you can expand its capabilities beyond the traditional home security system. For example, you can screw in a Philips Hue lightbulb into your porch light and have it flash when an Abode sensor is tripped. This would make it easier for the police to find your house in an emergency. Other than smart home integration what separates it from the other systems like Simplisafe is that it has enterprise grade encryption. That dramatically reduces the chances that your security system will get hacked. 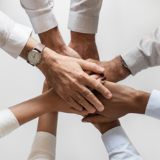 It also separates itself from the older security companies by allowing you to purchase short-term professional security monitoring without a long 3-year contract. 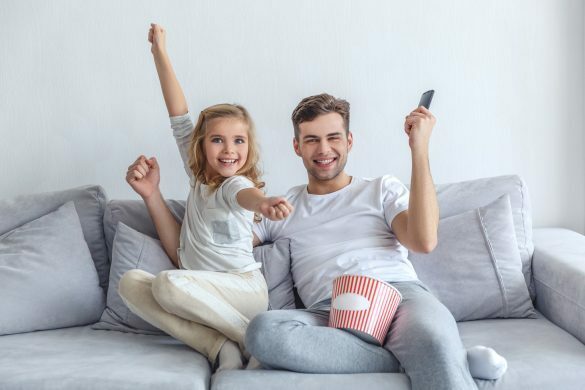 So if you’re going on vacation for a couple weeks you can have your home professionally monitored to give you peace of mind without being locked into a ridiculously long contract. You can also set it up to work with the Amazon Echo to activate and deactivate the system. What makes Arlo smart security cameras so neat is that they are completely wireless. Without wires to get in the way you can place these little guys pretty much anywhere you want. That gives you the flexibility to monitor your home from any angle. 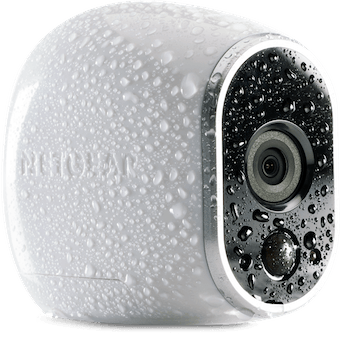 They are also weatherproof, equipped with night vision and expandable so you can add as many cameras as you want (you will have to pay a subscription fee for cloud storage after 5 cameras). As with all devices in this guide, it integrates well with your smart home. For example, you can point an Arlo camera at a door that is equipped with an Abode door sensor and when it’s tripped you can record a 30-second clip. One thing to keep in mind is that even though it is wireless, it does not have the capability to record directly to the camera with an SD card. Everything is recorded wirelessly through the hub to the cloud. The problem with this is that if you lose power to the hub and the internet, it won’t record. If security is very important to you what you can do is plug in your modem, router and Arlo hub into an uninterruptible power supply (UPS) battery backup. This will keep it running for 2-3 hours (depending on the UPS that you purchase). This thing is VERY popular. Over 10,000 reviews on Amazon. You can access Ring’s camera from your smartphone wherever you are. This gives you a simple entry into home security. You can see if any suspicious characters are hanging around the front of your house. Many burglaries start with the robber ringing the doorbell to see if anyone is home. With the ring and it’s two-way intercom system when someone rings the bell you can make them think you’re at the house. You can also purchase the optional “Chime” accessory. You can plug in Chime anywhere in your house and it will make a ding sound when someone pushes the Ring button. 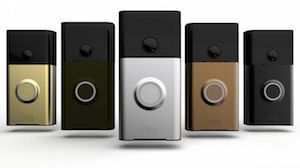 This is great if you don’t already have a current doorbell to use with the Ring. It’s also convenient to put outside on the back porch so you can hear the doorbell go off if you’re entertaining guests. It also integrates well with other smart devices like Wemo switches and hue lights. With any smart home setup you’re going to need to secure your network. These days you don’t just have to worry about someone sending you spamware. You now have to worry about someone hacking your security camera and spying on you and your family. To prevent this I strongly recommend that you get a dedicated firewall designed specifically for the smart home. Cujo is an easy to setup hardware firewall that you simply plug into your router. It takes a lot of the complicated steps out of securing your network. Just plug it in, work through the quick setup process and you’re done.